When preparing tax returns, there are certain common deductions every tax software checks for. Those typically represent the biggest impact to your overall refund or tax liability, but in the end every dollar counts. Vehicle registration fee is another one of those less common deductions that can have a positive impact on your taxes. Vehicle registration amount is comprised of several items such as vehicle’s value and weight, environmental fees (emission testing for air quality), and other miscellaneous fees your state assesses. 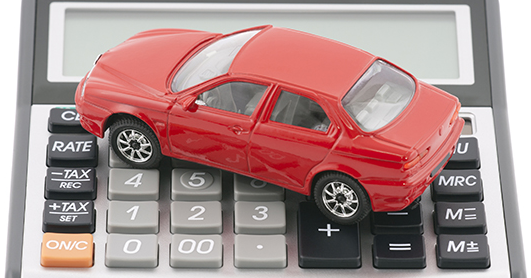 Only the portion that is based on the car’s value, as determined by a formula in your state, can be deducted and you have to itemize your deductions (Schedule A) in order to claim it. Note that not all states include vehicle’s value when determining the registration amount. In that case, you shouldn’t be surprised there is nothing to deduct. Also, the registration fee has to be charged annually. This deduction is possible because the IRS considers a vehicle a personal property when its value is included as a part of the registration fee. The deductible portion should be listed on the registration statement; it is typically itemized. In case you cannot find it, consult your state’s Department of Motor Vehicles website how to determine that amount. For example, in California you can get on this website and enter your car’s license plate and the last few digits of the VIN number to get the amount.